Based on the Lissa Evans novel Their Finest Hour and a Half, this delightful and often brilliant wartime drama stars Gemma Arterton as a Welsh secretary named Catrin who is recruited to be a part of a screenwriting team that specializes in propaganda movies intended to lift England’s spirits during the Battle of Britain. Her co-writer Tom (Sam Clafin) tells her that she was hired to write “slop” (or “girl talk”) to appeal to the female demographic but as she delves deeper into the writing process, it becomes evident that her skills stretch far past writing frivolous dialogue. After following a lead in a news article, she meets a pair of sisters who allegedly saved thousands of soldiers during the Dunkirk evacuation and brings the story to her team as the foundation of their new film. When the script is written, the studio moves forward with production by casting the aging British star Ambrose Hilliard (Bill Nighy) in the lead role and the handsome American war pilot Carl Lundbeck (Jack Lacy) as his counterpart, even though the disparity between their acting chops becomes clear once it comes time to shoot the movie. As issues pop up on set, Catrin and Tom are called to fix them with extensive re-writes that keep up on their respective typewriters through all hours of the evening. A playfully combative relationship develops between the two and soon they develop a true affection for one another, even though Catrin appears to be married to a struggling painter named Ellis (Jack Huston) back at home. The story is brought to life with wit and charm by a fantastic ensemble cast spearheaded by the lovely Gemma Arterton, who has previously starred in dispiriting dreck like Prince of Persia and Runner Runner but here finds a breakout role that’s worthy of her eminent talent. Her Catrin is smart, sassy and sensitive in equal measure and serves as a protagonist that’s nearly impossible to turn your back on, even when the story calls on her to make difficult decisions on behalf of herself and the studio producing the film. Every bit as excellent is Bill Nighy as the past-his-prime matinee idol who initially has an air of haughtiness that should make him insufferable but instead makes his rascally and unpredictable Ambrose one of the most watchable characters on screen. The Danish director Lone Scherfig tells this tale with all the whimsy that it deserves but she also doesn’t shy away from the harsh realities of life during war in a region where air strikes were often a brutal daily occurrence that could claim bystanders at any minute. Prolific film composer Rachel Portman ties the movie together with a plucky and sentimental musical accompaniment that never calls attention to itself, a trait that seems to be diminishing among most of the scores coming out of Hollywood these days. 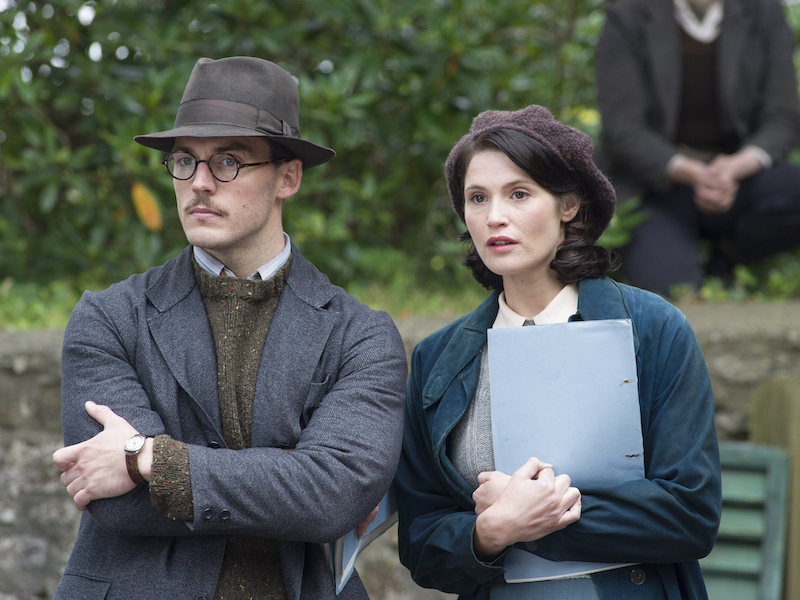 Their Finest is enchanting historical fiction that will give Americans different perspective on the Second World War but it also may give all audiences a brand new reason to fall in love with the movies all over again.